You may be a makeup newbie, or a longtime lover but we can all learn a few things when it comes to making yourself look its best. This little trick is when you actually apply to the eyeliner to the roots of the lashes. It creates a thicker look to the eyelashes. 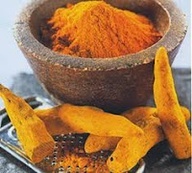 Tumeric, you may have heard of this spice. It hails from India, and has been said to help with reducing the growth of facial hair, and also reducing the amount of breakouts you experience. Just mix the turmeric, a little yogurt, and a few drops of lemon juice. Allow to sit on the face for about 15-20 mins. This will take time to see the effects, maybe a couple of weeks. Just take some baking soda, adding a little water to form a paste. Then rub it into your skin, to gently exfoliate and helps fade scars. After using this I rub olive oil on my damp face to moisturize. When you have broken powder foundations, you think to yourself what am I going to do with this mess now (at least that’s what I think lol). Well all you need to fix this is a few drops of acohol and a swirl of your fingers to mix it all back together. You then let it set over night and it should be back fully formed. To fix this common problem all you need is a few drops of glycerin and starting mixing. Let it sit for a couple of hours and it should look like new again, instead of the dried out mess it turned into. If you want to save it just add a few drops of saline solution inside same. If your mascara is over 3 months old, then I would suggest throwing it out. Mascara and most makeup are bredding grounds for bacteria and germs and should be routinely replaced. Are you out of your favorite oil blotting sheets, are you in a restroom right now? Then take some of the toilet seats covers fold them and place in your purse for emergencies. I use to do this all the time before I learned a way to ensure no oiliness throughout the day. Just take a little piece of the seat cover and blot over your face, oiliness is gone! Just put lotion around the edges of nail that you are painting. This ensures the polish doesn’t stick to the skin. You now have polish free, and moisturized skin.